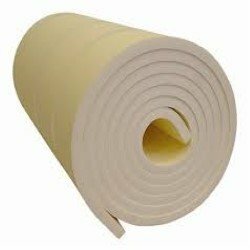 We provide EPE Foam roll, The Low Density Poly Ethylene expanded through extrusion and made lighter density EPE Foam sheets & rolls with density of 20-64 Kg/m3 are widely used in packaging and other industries like mattress manufacturing, cushioned furniture manufacturing, car/bus/truck body building industries and also in civil construction as substitute for polythene sheets and other similar materials. EPE not only serves as a cost effective alternative for coir sheets, rubberized sheets and or other cushion effect sheet and roll products, but also serves as a highly environment friendly alternative as the product can be totally recycled if brought back into the plant and converted into granules and back into the production cycle again. In the most challenging global climate change situation EPE could surely be another humble way to demonstrate our commitment to environmental sustainability.